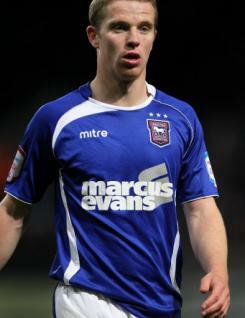 Grant Leadbitter is a midfield player who signed for Ipswich Town in September 2009, his former Sunderland boss Roy Keane bringing him to Suffolk. A regular throughout the 2010-11 season, Grant was the Blues' penalty taker, scoring four times from the spot in a total of six goals. A product of the Sunderland Academy and an England U21 international, he skippered the side when regular captain David Norris was unavailable.